If you own a 9000 and you smell a sweet smell when your heat is on, then most likely your heater core is leaking. A bad heater core will also put moisture on the windshield. The heater core is a common replacement item for high mileage 9000's. If you have no heat then a couple of things could be wrong. Your flapper arm could be broken or your flapper motor is shot. This will cause only cold air to come into the car. Also check that your thermostat is working by making sure the engine temperature is into the green area. To see if the flapper valve is working, take off the false bulkhead cover and look at the flapper valve. If the flapper is broken you can replace it with a new piece. This procedure will be covered in this section. If the cable doesn't move when you change the temperature from full hot to full cold then the valve motor is bad, it can be replaced by removing the glove box. Another component that starts to fail around 100,000 miles is the heater blower fan. The bearings of the fan will fail and will start to make a squeaking noise. If you are going to replace the heater core, then it's a good idea to do the fan as well. If your fan doesn't change speed, then this is transistor module and not the fan. The first thing you want to get is the parts that you want to replace. If your going to replace the heater core, you are going to be removing all of the other parts no matter what. In older 9000's I guess this project is a real pain, so you might want to do everything all at once. With the 93+ 9000's the job is really not all that bad, so replacing one at a time wouldn't be that crazy. 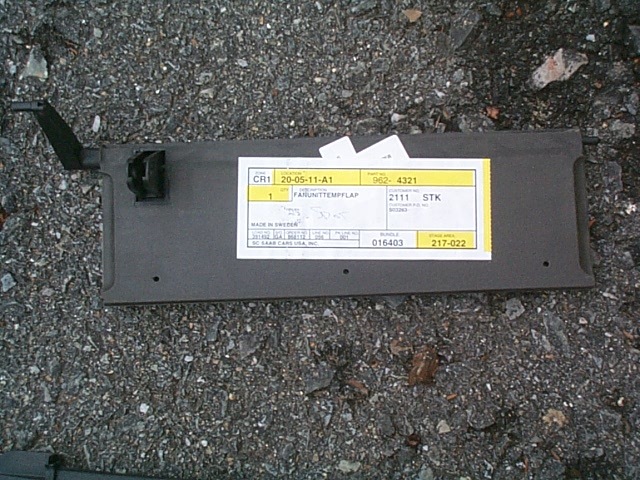 The flapper part number is 96-24-321 and it's about $40 from the Saab dealer. The easiest way to get all of the heater core parts is to order the kit. 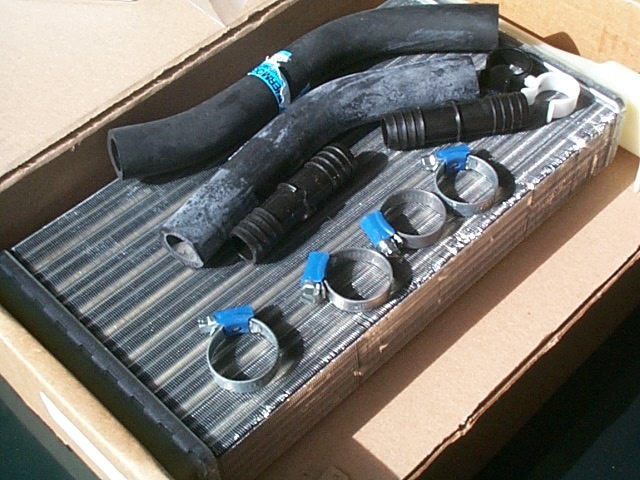 It comes with the better, later style heater core, all of the hoses, and clamps. The kit usually costs around $120-$160. 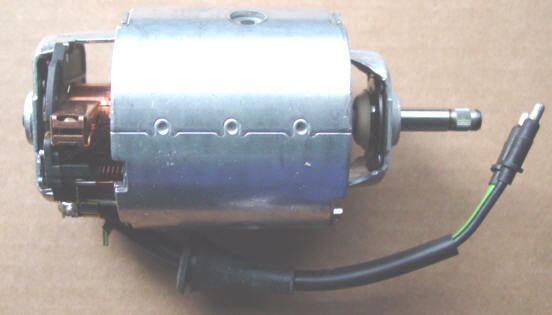 The blower motor is available in two forms. The motor with the blades or just the motor. Since it's usually the motor bearings that go bad, either one is okay. The cost ranges from $70-$100 for just the motor, or $160-$240 for the motor with the blades. This DIY section takes you through the process of replacing the heater core, replacing the flapper and replacing the motor blower. Overall, I put this at a two beer project. Not too bad in my book!